Yum! 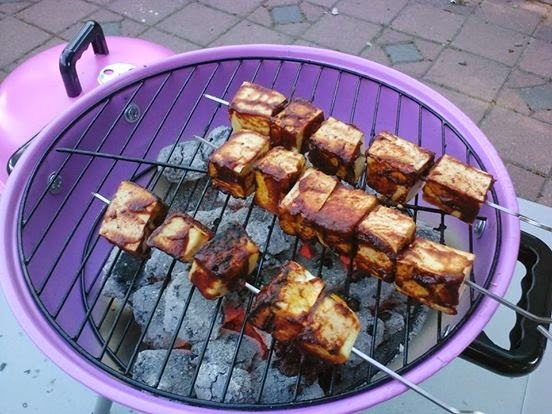 We don't have a grill, but I'm always envious of grilled veggie skewers and grilled tofu this time of year! I wish we were grilling! I don't own one either but I love what everyone else does with them. Grilled pineapple is really good. Like the comments before me, I skewer stuff and throw it in the oven including pineapple.